I'm writing this without doing research on the subject so most of what I'm going to say is anecdotal. Maybe some day I'll get the research done and realize whether I'm right or just blowing hot air. From what I can tell, Freemasonry had a large influx of members both during and after World Wars I and II. Because of the attitude of loyalty and dedication, they maintained their membership even if they weren't that active. Before this influx, its my opinion that membership rolls were quite a bit smaller. With the increase in membership, we built the large buildings that many are now having trouble maintaining that our membership is declining. If you follow the stories of the sale of these buildings, most seem to have been built in the 1920's & 30's. When our membership was growing. Now many are worried that our membership is declining and are trying to find ways to maintain or increase our numbers again. The one night or one weekend degree seems to be the favored way along with making it easier and quicker to "prove up". When I took my degrees in the mid 70's, I still had to learn the questions and answers. Through this, I got to know the members who posted me and it helped give me a heads up when I started learning to confer the degrees. I guess what I'm trying to say is that before the membership influx, we were more selective about who we took in and we worked with them more and got to know them more. Maybe we need to look at what our membership numbers were pre-1910 and those might be more realistic as to how large our lodges should be. And in doing so, we will be able to devote the time needed get and keep new members. 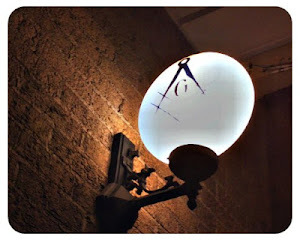 From the viewpoint of a German Freemason, the Concept of „Blue Lightning Brethren” is a very peculiar one, indeed. Over here the journey of the newly Initiated Brother EA unto the day he reaches the sublime Degree of a MM takes about two years. (Although has cannot vote, we see him from the very first day as a true Brother, because he has seen the light) I see this this time, as a time of maturation. The EA has the task to take a look inside. He is charged to get better acquainted to his inner self. Self-recognition is crucial for self-improvement. The FC has the task to take a look around. The charge is to find his place in the temple, not build by hands. He is also charged to travel and to visit other lodges, hereby broadening his view of Freemasonry. When he finally reaches the Sublime Degree of a MM he should be ready to call himself a Freemason. Now he has the Charge to look above. Why is he here, what is his relation to the G.A.O.T.U. ? He will now be in the position to take responsibility for the Craft. I am aware, that I might have painted an idealistic picture. Of course, there is not just black and white, but I am convinced that the masonic path toward light takes it’s time and there is no shortcut. But, be that as it may. To look scornful at the new Brother eho went through a Blue Lightning Class is not very masonic at all. If we take ourselves serious, and we believe in our own claim to “take good men, and make them better”, we have to acknowledge, that a good man has found the Way to our temple and made three distinct knocks. If he has a lack of knowledge we are charged to teach him. Having knowledge is always good, but it is not crucial. We have to teach him the true meaning of wisdom, strength and beauty in the craft. When we succeed, we will strengthen that little flame inside him that brought him to the gates of the temple. But how can we do that? 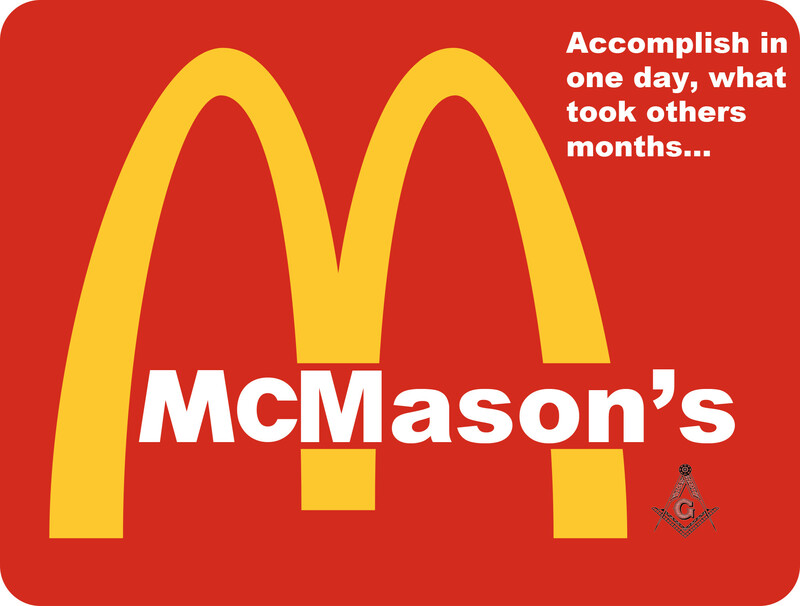 Only, if we climb down from our “earned” positions, from our ranks and from our complacency, down to the level, the place on which all masons shall meet. Only from this position we can teach masonry, not with the arrogance o a scholar, but with the loving heart of true brother. We teach our new Brother, by the way we act, by the way we behave ourselves, by the way we life. Thank you, Rolf. Well said.